The genre of doom metal is overridden with dozens of pretenders cribbing from the playbooks of SLEEP and BLACK SABBATH, and all but a chosen few end up sliding almost immediately in one ear and out the other, not bringing much excitement to the table other than competently executed rehash. That said, there has been another exciting wave within the doom metal genre burgeoning within the last few years, exploring the more melancholic and melodic side of the genre tag. Hovering at the top of that wave is Denver quartet KHEMMIS. 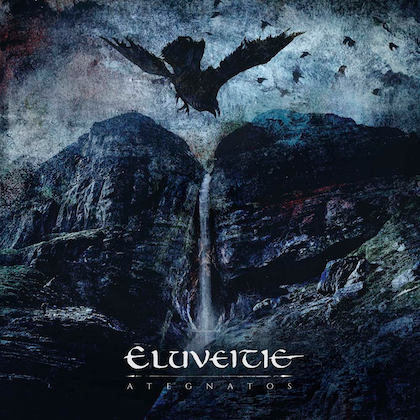 The group's 2015 debut full-length "Absolution" was a fully formed vision from the start, the band showing a flair for composition well beyond its years. The following year's "Hunted" cemented the band as purveyors of a compelling mix of beauty and heaviness. The strain of doom on that record was reminiscent of faster-paced cuts from the glory days of TROUBLE and CANDLEMASS. The newest single-word titled record from KHEMMIS, "Desolation", sees the band slightly slowing down its din this time. 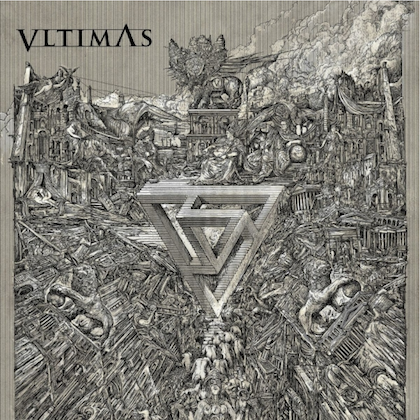 Thankfully though, the slowdown is more in tune with the gorgeous Euro-doom of modern-day KATATONIA than the molasses-like sludge retreads permeating the modern doom metal scene. Opening track "Bloodletting" sets the stage from the start, highlighting the guitar interplay between the duo of Ben Hutcherson and Phil Pendergast from the very start. The guitar tones that are traded off quickly become one of the band's trademarks from the starting gate, with "Desolation" once again proving a showcase for the warm guitar tones and deep hooks that are generated by Hutcherson and Pendergast. The duo has also shown great chemistry trading off on vocal duties from day one, though Hutcherson's snarling growls are more understated this time around. The record is mostly spearheaded by the ever-soaring clean croons of Pendergast, his vocals serving as pilot on each song, with Hutcherson jumping in to steer most of the tracks through turbulence to a safe landing. 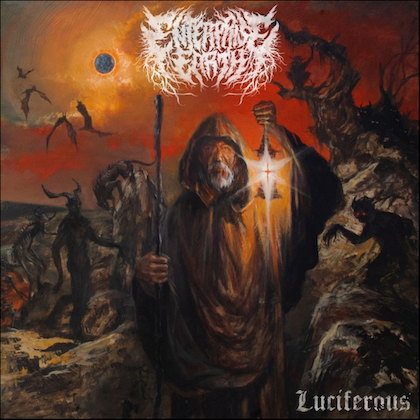 The melodic gloom reigns supreme on most of the tracks, with other songs such as "Flesh to Nothing" and "The Seer" following the lead of the opening track, serving more as steady mid-tempo stompers. That's not to say that there aren't moments of faster-paced metallic triumph scattered throughout the record. After "Bloodletting" comes to its roaring conclusion, "Isolation" roars with a mighty gallop; its jaunting rhythm is more in line with modern traditional-metal acts like SUMERLANDS and ETERNAL CHAMPION. It is on the speedier tracks where the rhythm section of bassist Daniel Beiers and drummer Zach Coleman shine brightest, their chemistry confidently propelling heavy metal thunder. The opening seconds of "Maw of Time" are arguably the heaviest segment of the record, starting off as a heavy ARCH ENEMY-esque cruncher before settling back into the mid-tempo groove that populates the majority of this record. The third record is often the most important in a band's development. The heavy metal history books are littered with bands that broke through the creative and popularity ceiling with their third record, and even more that ground to a halt after running in place. 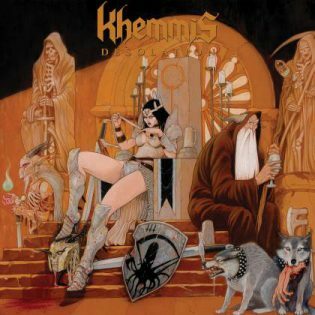 KHEMMIS sticks the landing with its third record, slightly tweaking its formula just enough to keep the discerning metal listener interested in what's coming next.